This is not the first time I have said it, but in general, the UK decorating trade is one of the most conservative least innovative industries in existence. I started in the early 80’s and I could go on almost any site now and do exactly what I was doing then. 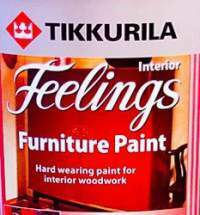 Apart from a few paint name changes, I would be pretty much up to speed and at the end the day I’d be covered in dust, stinking of turps with bits in my gloss, a bit of paint stamped through the dust sheets onto a carpet, bumping coats to get home early etc etc. And if I wanted to make a difference and raise the bar by introducing a product that adopted an approach different to what’s considered “trade standard”, I would expect an instant thumbs down from 95% of the people in the trade. Conversely, if I wanted to dress up a piss-poor but industry-standard product in a different colour or material, I would expect 95% of people to say it’s fine and I would probably sell them like hotcakes. After 30 years working at every level of decorating – I have banged out council houses at £30 a pop, as well as worked on royal households and classic wooden boats – I guess I have lived long enough to see the pot of good guys getting smaller, thanks to the inexorable mainstream trend where the lowest common denominator seems to win out. I have never subscribed to doing just OK work, because thank goodness I had a college lecturer, Mr Alan Baldwin, who showed us how far you can take this trade, and drove us to get as far along the path as we could. But the stupid thing is, never before has the average UK decorator needed to be more efficient, smarter, better educated, faster and just plain BETTER. And by definition, that goes too for the companies supplying us with materials and equipment. Every last one of us pro decorators is very vulnerable in yet another recession, and only the ones whose work stands out and represents brilliant value for money will be able to weather the storm. Even fewer will, dare I say, move on up a level or two. If you keep on buying cheapo contractor brushes, load your van up with dusty dust sheets, use mediocre “trade quality” roller sleeves, dismiss the use of power tools, poo poo vacuum extraction, work extra hours to make up for things that keep going wrong “for no apparent reason” and do everything you can to cut corners to make money on low ball prices, the writing is on the wall and it will be bye bye. And the jobs of the UK company men and women supplying materials and tools to the UK decorators are at risk too if they are lead from the top by folks who play into the hands of mediocrity. There are some big changes coming on the UK decorating island, because of new paint formulas and HSE rules and economic requirements. With change comes opportunities for companies with a long history of innovation and a passion for excellence to move in ie Mirka, Festools,Toupret aren’t unknown exactly in UK, but their profiles are rising – and then there are companies brand new to the UK, like Wooster and Mythic. And believe me, these foreign bods aren’t even having to up their game. Their pursuit of excellence is engrained in them, and their offerings and their philosophy will suddenly make much of the shambolic olde worlde product lines in many UK decorating centres look as stale to UK eyes as they have looked to continental eyes for decades. Anyway, deep breaths… there is hope for UK decorators, it is called competition. Finally you don’t have to trawl the internet to find specialist time-saving products from n different sources. I used to source most of my stuff locally, but the service just wasn’t there on scaled-up jobs. Also I would go to a onestop and still excellent online store like Trade 1st. But now I source most of my kit from a very passionate independent decorator merchants, Trade Decorating Supplies. They have top of the range tried and tested trade perennials as well as proven cutting edge products from around the world, and most important, a big time professional service mind set. They are in my opinion, and many other fellow pros, the blueprint of how it should be done. Personal, innovative and very very high levels of customer service. Phew. The sentiment hasn’t changed, but as usual, a good idea like TDS was bought out and diluted. Fortunately, from the ashes MyPaintBrush has arisen, an online reenactment, serving the growing niche demand for better kit than you can buy from the usual suspect suppliers. As a helping hand, check out our Recommended Suppliers page where you can see the sort of products we rate very highly, and ask them via Twitter or via their associates page on Traditional Painter where to get their great products. Changing decorating is a big ask, but it has to change, folks, because along the lines of Einstein, don’t repeat something time and again and expect a different outcome! And the 80’s weren’t exactly the pinnacle of decorating endeavour, so let’s move it on.